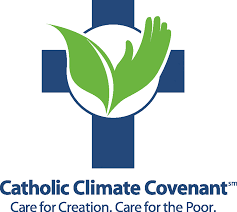 The Catholic Climate Covenant produces a free educational program to help faith communities explore how they can better care for creation and the poor. The 2018 program, “Who Is My Neighbor In A Climate Threatened World” focuses on the interconnections between immigration, refugees, and climate change. Programs from previous years are also available. Learn more.